Jam City's Panda Pop was a great success that helped millions of users waste vast amounts of precious time with its bubble-popping panda cuddliness. Not wanting to mess with success, Jam City has now simply re-skinned the game to feature all the beloved characters from Charles Schultz's timeless Peanuts universe, complete with its relaxing soundtrack and a new name—Snoopy Pop. The main aim of Snoopy Pop is to save Woodstock and friends by popping them free from their colored bubble prisons. 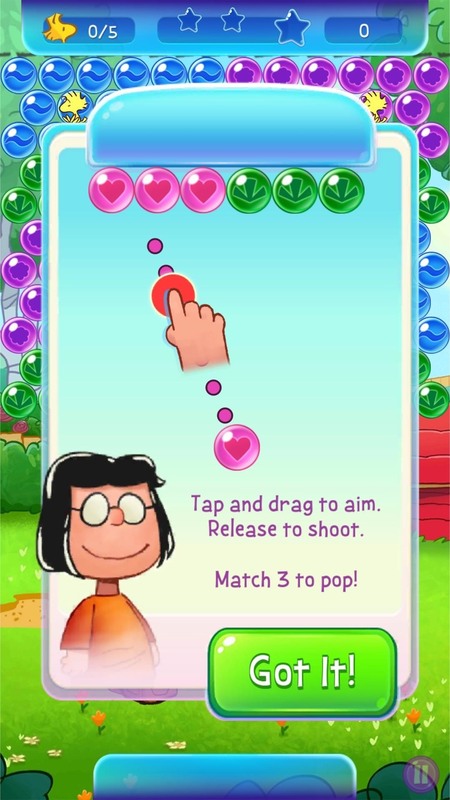 The gameplay itself is easy enough—simply aim and shoot a bubble at a group of bubbles of the same color. Three or more bubbles will cause them to pop, setting any bird that's trapped within free. The game gets more challenging as you progress, and you'll have to contend with tougher obstacles like rocks, swinging bubbles, and of course, the infamous Red Baron. The only trouble is, Snoopy Pop hasn't been released worldwide just yet. As of now, it's only officially available in Canada, Ireland, the Philippines, Australia, and Argentina, and though we've asked Jam City for a release timetable, we haven't got a response yet. Nonetheless, if you'd love to try this game out now, there are ways to play Snoopy Pop on iOS or Android regardless of where you live, and we'll cover those below. 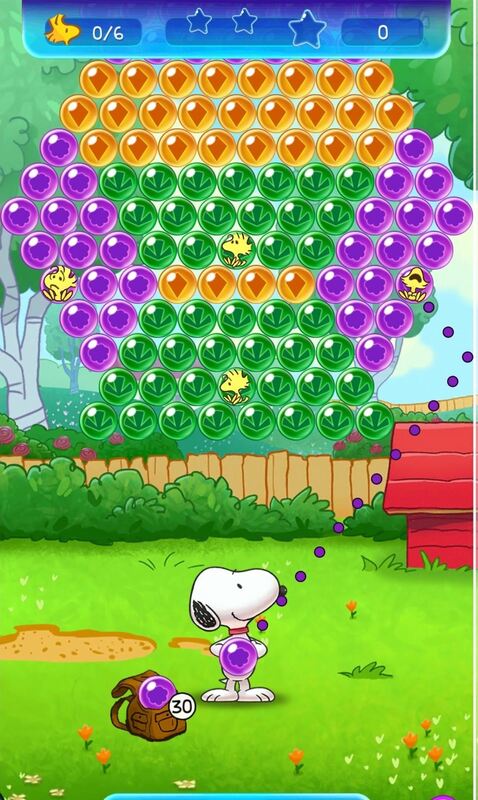 As a simple bubble-popping game, it doesn't take too much to run Snoopy Pop on Android. 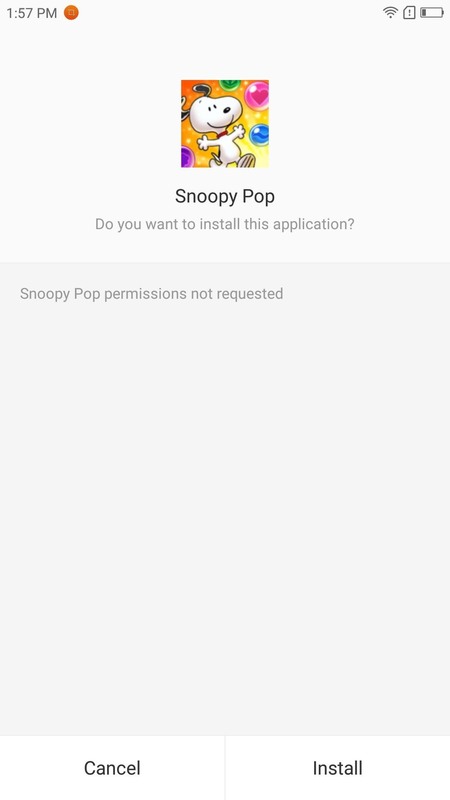 The minimum system requirement is Android 4.0.3 or higher, so virtually any Android device will run Snoopy Pop reliably. Besides that, installing the game on Android is incredibly easy to do. The first thing you'll need to check is that "Unknown sources" is enabled in Settings. After that, grab the APK installer file from the link below, then just tap the Download Complete notification. From there, press "Install" when prompted, and you'll be ready to play Snoopy Pop within seconds. Your iPad, iPhone, or iPod touch needs to be on iOS 9 or higher for Snoopy Pop to work. As the game is technically a soft release, you'll need to bypass the App Store's region restrictions to install it. To do this, you'll need to create an Apple ID with an address based in either Canada, Ireland, the Philippines, Australia, or Argentina, as these are the countries where the game is officially available. We'd recommend going with Canada. Creating a Canadian Apple ID is straightforward—simply sign up with a valid email account while using a realistic Canadian address, then sign into this account on your iOS device. If you want a more thorough walkthrough on how to spoof iTunes, just tap on the link below for detailed instructions. After you've set up your new iTunes account, simply search for Snoopy Pop in the App Store to download and install it. You can also head to the following link to grab it—just be sure to use the same device where you did the region-unlocking trick. 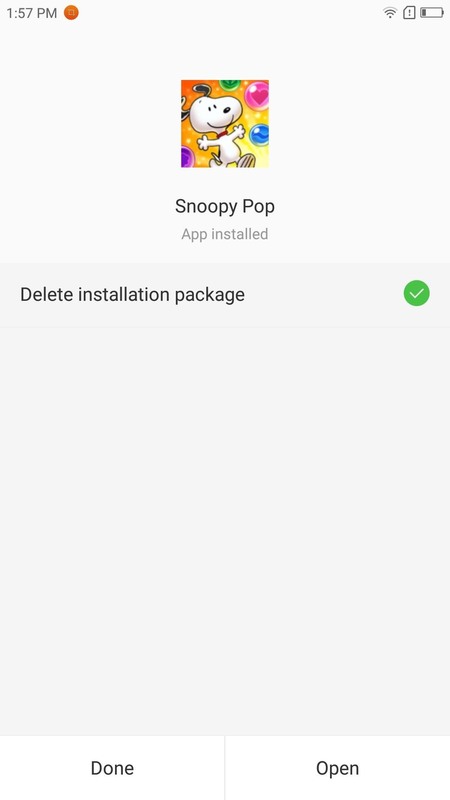 Please note that Snoopy Pop isn't a finished product, so users may experience a few bugs here and there. As of this writing, there are only about 40 levels available, but this will certainly increase as more updates come in. We tested the game on an iPad Pro running iOS 10.3, and a Lenovo Zuk Z2 Pro running Android Marshmallow, and found that it worked without any hiccups. As always, feel free to let us know how the game runs on your device, or share any other opinions you may have in the comment section below.